It is with deep regret to notify you of the passing of active member Firefighter Richard Eldon. 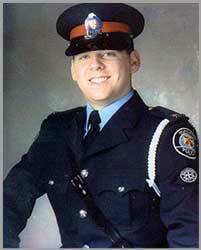 Firefighter Eldon started his career with East York Fire Department before amalgamation to Toronto Fire Services. Firefighter Eldonworked at Station 226 on P226, B Platoon. Firefighter Eldon passed away on Monday, May 21, 2012 at the age of 46, after a courageous battle with cancer [recognized Line of Duty Death] as a result of his firefighting career. 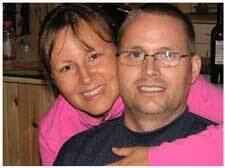 Firefighter Richard Eldon is survived by his wife Shari and three young sons. Sergeant Russell died after being struck while attempting to stop the driver of a stolen heavy-duty pick up truck equipped with a snow plow. The driver had commandeered the vehicle earlier that morning, and for nearly two hours careened his way through downtown Toronto streets hitting buildings and striking several cars. Sergeant Russell was 35 years old and he is survived by his wife and two year old son. Captain Gary Wilson passed away after a long battle with cancer, after repeated exposures to smoke and chemicals during his Firefighting career; Captain Wilson had served 24 years with the former East York Fire Department [starting his career on December 5, 1983] and Toronto Fire Services. Captain Wilson was also a licensed electrician. Captain Gary Wilson was 48 years old and he is survived by his wife and daughter.